Have you ever wondered why you feel so “down in the dumps,” have “the winter blues,” or feel just plain depressed during the winter months? 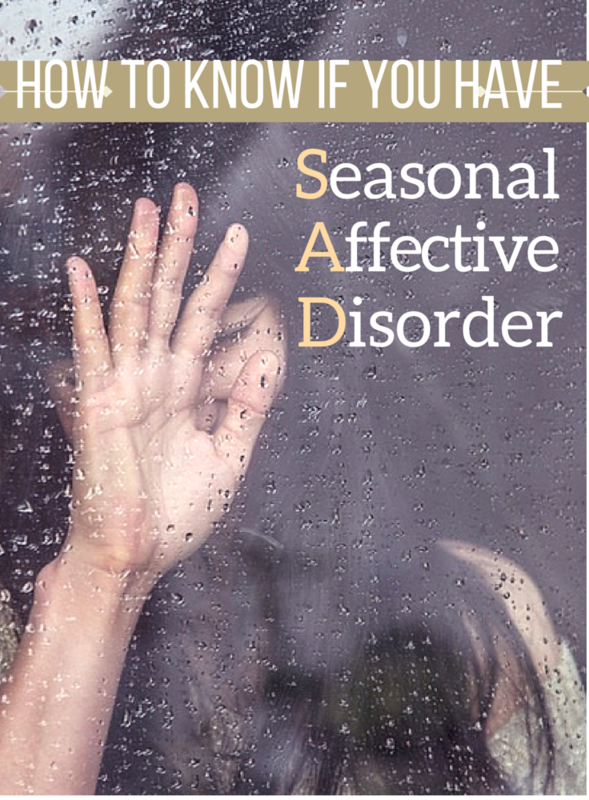 There is a reason; it is called “seasonal affective disorder” (SAD). It is a real condition with real consequences and problems. The condition occurs during the late fall and winter months when we lose sun exposure coinciding with less time exposed to daylight. SAD is brought on by decreased sunlight due to changes in our circadian rhythm. People who have mild depression or a bipolar disorder can be more susceptible to SAD. It has been classified as a variant of depression and has a diagnosis in healthcare. The disorder can be predictive as it occurs the same time each year. It is more common in people who live further north or south of the equator during the respective winter months. SAD may occur in up to 6-10% of the population in the northern hemisphere in the winter months. Seasonal affective disorder should not be taken lightly. A friend or spouse may notice some of these changes in you. During SAD the body and its systems undergo change. The following changes are noted. Body rhythms (circadian rhythm) are lost or changed. The lack of sunlight disrupts the biological clock and this contributes to depression. Chemicals in the body such as serotonin and melatonin levels drop or decrease. Lowering serotonin, a brain chemical that affects mood, might play a role in SAD. The winter season can also change and lower the body’s level of melatonin. This chemical helps with your mood and sleep patterns. Treatments for mild cases can be done quite easily after the condition has been diagnosed. Two of the treatments will be discussed. More complicated cases may need medication and more involved therapy. This article will not discuss suggested treatments for severe cases. Some authorities believe SAD is more physiological (body function) than psychological (mental). 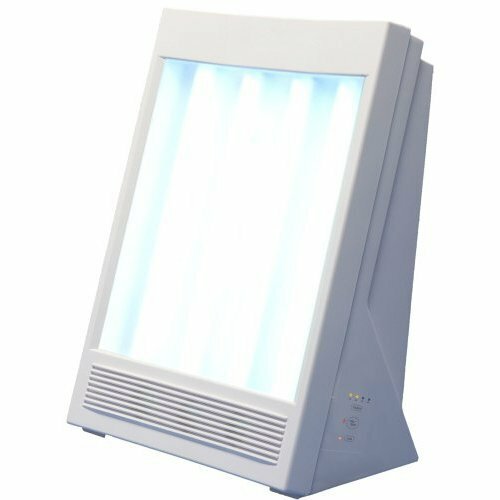 Using light therapy on a daily basis to replace sunshine in the late fall and winter may relieve or significantly reduce the signs and symptoms of SAD. The light box must provide at least 10,000 lux of cool-white light. The link below will take you to some of the least expensive light boxes that are available. It is recommended by most authorities that it may require from 20-60 minutes of exposure daily. Vitamin D3 has been found to be low in the blood tests of SAD sufferers. We get ample Vitamin D in the late spring and summer from sunshine. Taking Vitamin D during the fall and winter will assist you in utilizing the vitamin for its use in the body. Develop a routine and stick to it! It has been found that getting into a regular daily protocol of activity is helpful. Being active and accomplishing tasks can help battle depression. Here are some ideas regarding a routine for men and women. Do small projects and see them through to the end. Cleaning up the dishes, making your bed and getting the laundry done. Discuss with your family the signs and symptoms of SAD. This will help as they will better be able to assist you and understand the problem and its effects. Volunteer during the week at church, school, or by helping a neighbor. Get regular sleep and don’t use sleep aids. Eat at a regular time. Avoid meals high in carbohydrates and refined sweets. Eat complex carbs such as vegetables, fruits, and protein. Dehydration can occur in the winter months so drink plenty of water for hydration. Chiropractic care can be helpful in relieving muscle stress and tension, headaches and spinal pain associated with SAD. In addition, the doctors will work with you on appropriate exercises and dietary recommendations.